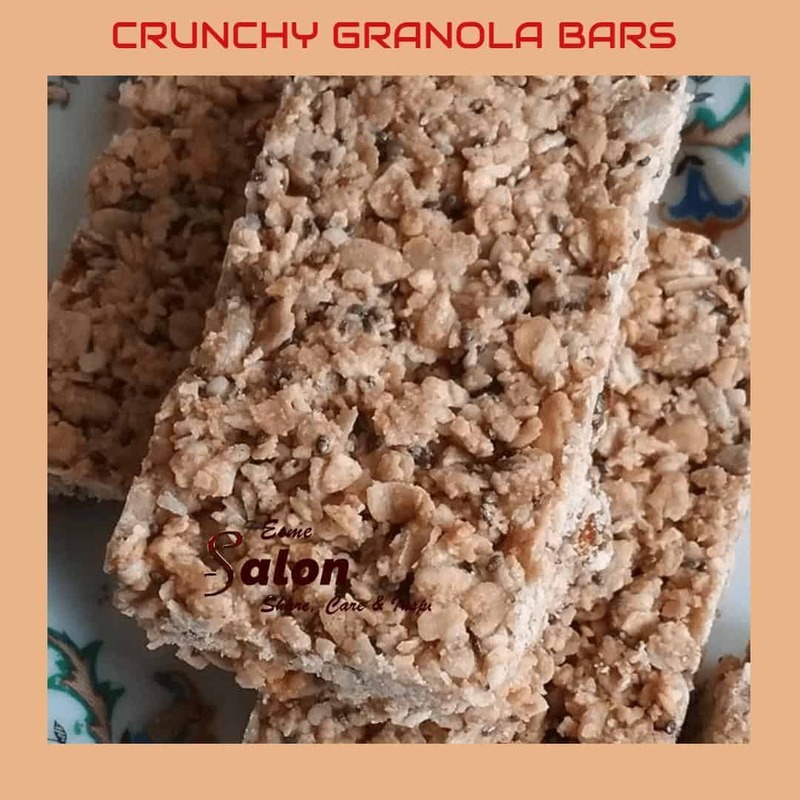 Have you ever made home-made crunchy granola bars? Have you ever made home-made crunchy granola bars? They taste delicious, travel well, make wonderful gifts to take along to friends, and to top it off, very easy to prepare. Are you in need of a snack for an event or game? No worries, try this one and you’re set! Line a 9×9-inch square baking dish with parchment paper. Add tahini, maple syrup, and vanilla. Fill into a prepared baking dish, press down evenly and bake for about 20 minutes or until golden brown. These look fantastic and remind me a bit of the homemade granola I made when my children were young. Yum!